Here is my latest finished project: Nancy from Twisted. 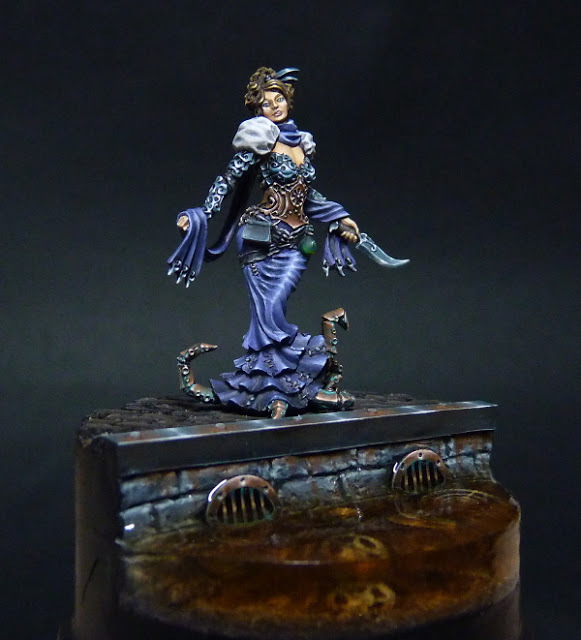 This pretty lady was sculpted by Sebastian Archer, one of my favourite sculptors. I just love his models, very detailed, very petite yet with lots of character. 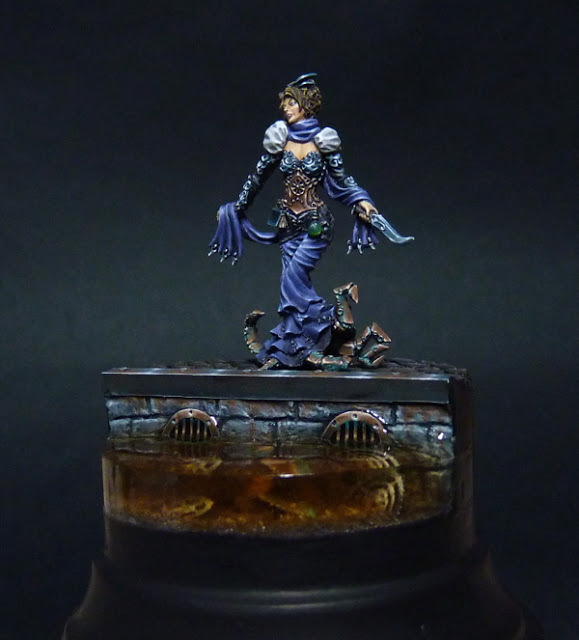 I immediately knew the colours I wanted to use on this model, and I really wanted to try some copper NMM and some verdigris. I hope you like her :). 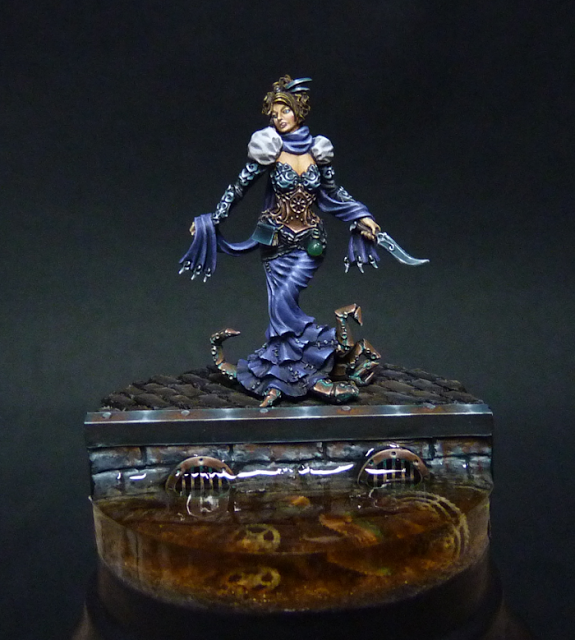 If you want, you can vote for her on Putty & Paint and on CoolMiniOrNot. Thanks!